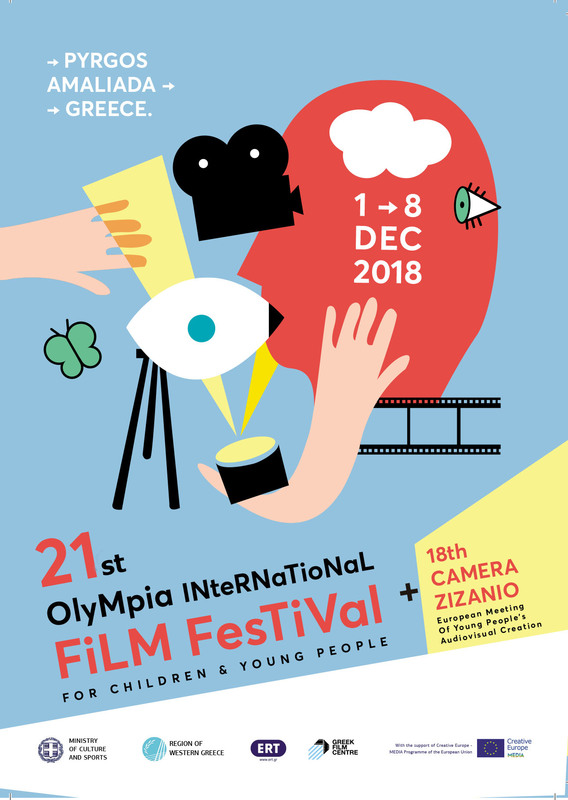 The 7th edition of Camera Zizanio (European Meeting of Young People’s Audiovisual Creation) took take place from December 2 to 9, 2007 in Pyrgos, along with the 9th Olympia International Film Festival for Children and Young People. The Greek sector will host a record of over 50 participations, proving that, despite the lack of a state plan, team (in schools) and individual attempts for audiovisual creation are increasing. More than 10 Greek participants are originated from the prefecture of Ilia and the educational initiatives of the Festival. New European participants come to join the usual ones, raising the represented countries of the Continent to the number of 22. The International Panorama spreads its wings over Asia to other parts of the planet, such as Latin America and Africa. Established last year, film workshops and their work will be presented this year with a focus on actions supported by the European Union, through the project “Youth in action”. Support from the General Secretariat for Youth will make sure that this project will be carried out during the Festival. 42 young people from 7 countries will take part in it. What is special to this year’s workshops is that they will be situated in areas devastated by the fire. Therefore, they will be close to extremely needy children. The last word of technology, high definition cameras, will are due to make their debut. “Zizanio” will be broadcasted on the internet, as a live 24-hour tv show, with films and live coverage. One more festival gone by, a cinematic fortnight and especially the last week of the main screenings, successfully behind us now, with more unique moments added to our lives! Yet another fantastic awards ceremony, with the birthday cake delivered by children from all over the world, singing Happy Birthday to Dimitris Spyrou in their languages, and a fantastic program with songs from Hatzidakis and Theodorakis!! The Zizanio awards funny as always, made us all laugh! !